The price. 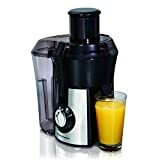 If you want to see how you get on with juicing, without having to spend a small fortune on a piece of kit you might not get a lot of benefit from, this is a great investment. The noise. Cheaper doesn’t mean quieter, so do bear this in mind, and perhaps rest the machine on a towel to minimise. 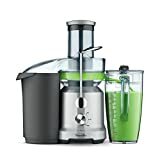 If you’re looking for a cheap juicer then this is a fantastic choice to go for. 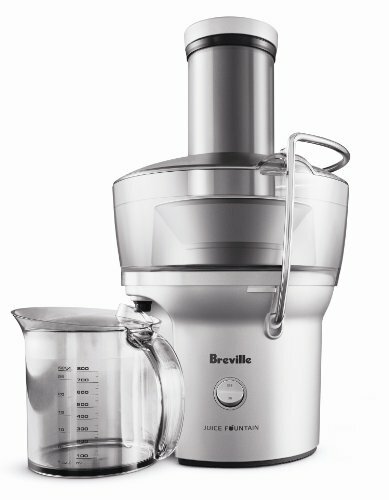 Working out at around $100, it a great entry level juicer without spending a fortune. 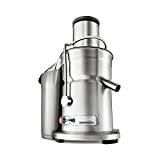 This juicer comes with the usual 3” feeding chute, so no need to chop your ingredients prior to juicing and the micro mesh filter means less mess at the end of it, as well as a cleaning brush included for extra cleanliness! The stabilising knife means you can juice without concerns for safety, and this is especially good for beginners.